The Emerging markets FX space has been very stable over past months, but recently things have been reversing a bit. 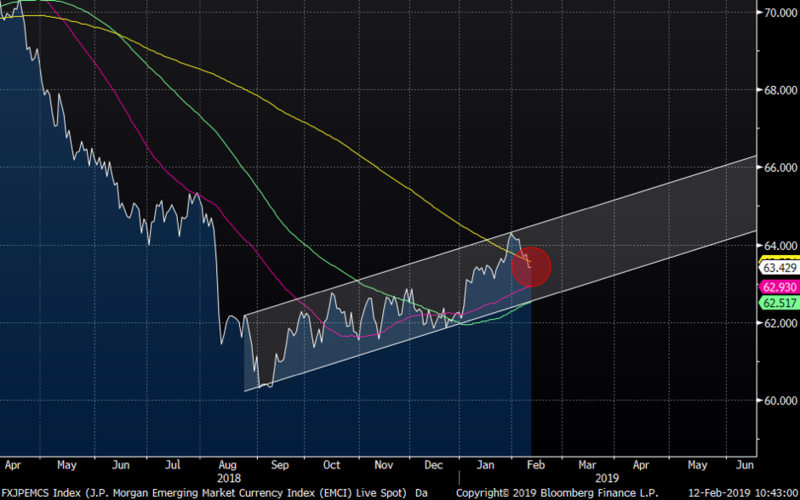 The JPM EM FX index is still inside the positive trend channel since August lows, but note the recent move lower and that the index is trading below the 200-day average again. Maybe nothing to care about, but keep it on the radar. 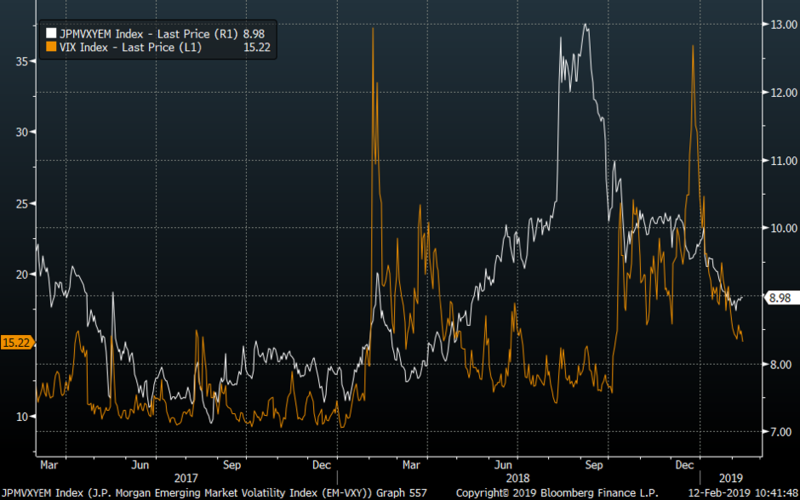 EM FX volatility (white) exploded several months before equity volatilities (VIX orange) started the great move higher last year. As we all know, pretty much all global volatilities have come off as assets decided surging in January. EM FX volatility is still rather low, but watch this space carefully, as it was one of the early indicators last year something wasn’t right.